Top-class fillies Alpha Centauri and With You are on course for a mouthwatering clash in the Prix Jacques le Marois at Deauville on Sunday. 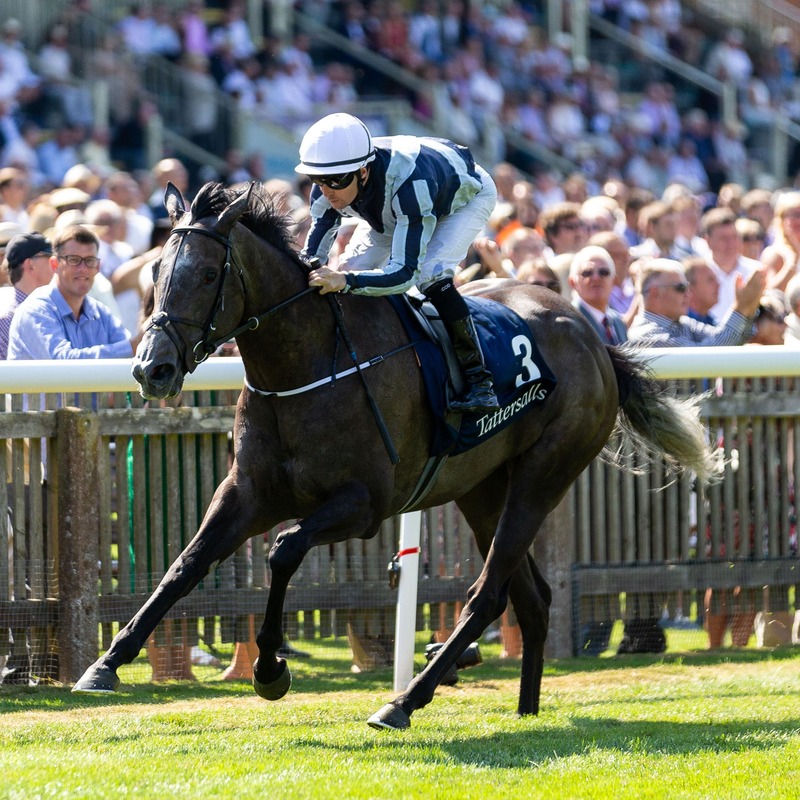 The Jessica Harrington-trained Alpha Centauri has arguably been the star of the season so far, recording a hat-trick of Group One victories in the Irish 1,000 Guineas at the Curragh, the Coronation Stakes at Royal Ascot and the Falmouth Stakes at Newmarket. She will be the hot favourite to extend her winning run when she meets her male counterparts for the first time in France this weekend and connections are keeping their fingers crossed she gets her favoured ground conditions. Alan Cooper, racing manager for the owners the Niarchos family, said: “The filly is in good form and all being well she’ll run on Sunday. “Jessie is very happy with her. Let’s hope the weather stays favourable. There are showers forecast, but how much rain they’ll get we’ll have to wait and see. With You, another three-year-old filly, will be one of the leading hopes for the home contingent after dominating her rivals in the Prix Rothschild at Deauville late last month. Trainer Freddy Head would not mind seeing some rain fall at Deauville in the coming days. He said: “She is going to run in the Marois, all being well. It looks like it is going to be a big race. “I am very happy with my filly, so we will see what happens. Adding further strength in depth to what promises to be a fascinating contest is Eve Johnson Houghton’s stable star Accidental Agent, who was a shock 33-1 winner of the Queen Anne Stakes the Royal meeting. Johnson Houghton told At The Races: “Alpha Centauri looks an amazing filly. We’re taking her on and obviously she’ll be the favourite, but hopefully we’ll give her a good rattle anyway. “Hopefully Alpha Centauri will go a nice, decent pace and we’ve got something to aim at and we either get there or we don’t. “It’s quite straightforward. We don’t have to worry about what we’re going to follow. She likes to go forward, we like to hold up and one of us will win, hopefully.